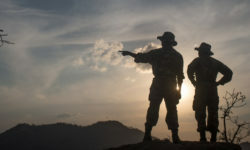 April sees East Africa in the middle of its long rainy season, and southern Africa coming out of summer and enjoying lower temperatures and rainfall. The weather can be unpredictable at this time of year, so pack accordingly. Be sure to pack lightweight clothing to cover exposed areas, a wide-brimmed hat, sunglasses and high factor sun lotion. And, of course, keep a raincoat nearby, for the odd shower. 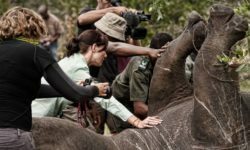 Read this article for a more complete safari packing list and this article for more about the seasons in Africa. Wildlife viewing can be patchy in places – mainly because of the thick green vegetation and more water availability than during the dry months. But bird-watching is still good, although many summer migrants have now moved on back to their breeding grounds. Expect fewer tourists and lower prices than during the peak safari months, and many lodges further away from easily accessible areas still offer discounts at this time of year, while others are still closed due to high floodwater levels. Read this article about finding more affordable lodge accommodation based on the time of year: How to find luxury safari lodges at a discount. Please be aware of mosquitoes and wear long sleeves and long pants during the twilight and dark hours, sleep under a mosquito net and apply some form of mosquito repellent liberally. We recommend that you take precautionary prophylaxis during this period – please consult your doctor. Cape Town and the Garden Route are now enjoying mild early autumn weather, and although the long hot summer days are gone, you can still enjoy the beaches and outdoor lifestyle. And of course, there are no festive season queues, meaning excellent opportunities to wine, dine and chill on the beaches. Perhaps combine coastal celebrations with some bush time? 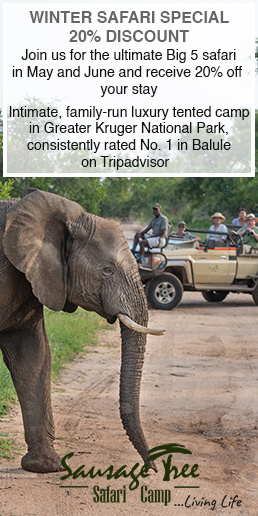 Read more about bush & beach combo safari to Cape Town and Kruger. The Greater Kruger National Park in South Africa is good for all seasons, and April is no exception. The national park is busy throughout the year, and we recommend rather the private reserves on the western edge of the park, where privacy adds to the experience, and excellent guiding increases your chances of spotting the Big 5 (lions, leopards, elephants, rhinos and buffaloes). 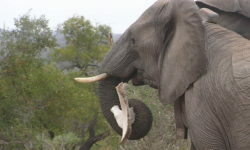 Also in South Africa, we highly recommend a safari to Madikwe Game Reserve. Not only is this a malaria-free area, it is also an excellent place to spot the Big 5 and other sought-after species such as cheetahs, wild dogs and brown hyenas. In Botswana, many lodges offer good green season discounts – although note that wildlife sightings of popular species can be few and far between. The annual Okavango Delta floodwaters are on the move southwards from the Angolan highlands, but in April the water is still in the northern regions and has not yet reached many of the lodges. Only lodges with permanent deep-water channels offer water activities such as boating and mokoro outings during April. 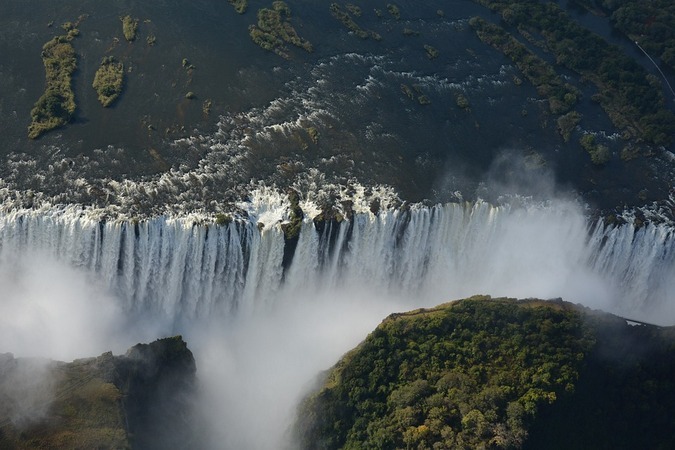 The adventure capital of Victoria Falls, on both the Zambian and Zimbabwean sides, is open for business throughout the year, and a must for any serious Africa-fanatic. During April the river is high, so expect to be drenched in spray and deafened by the thunderous noise of water cascading over the edge of the falls and into the gorge below. 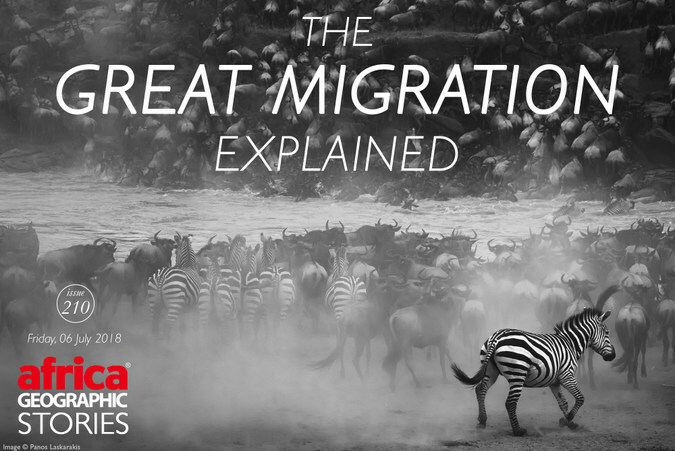 If you visit in April to view the Great Wildebeest Migration, you are going to need your rain jacket. The herds are now in the southwestern Serengeti in Tanzania, and have split into large groups, ambling from the Ndutu region, past the Simba kopje, in the direction of Moru. 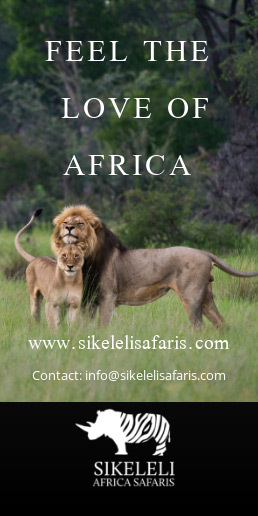 Simba kopje is where the lions are at, and it’s worth spending some time lion hunting – in the strictly photographic sense of the word. The wettest part of the day is the evening. The rainfall makes the plains slippery, and vehicles without 4×4 mode will battle to go anywhere. Click here for a month-by-month description of this, the greatest show on Earth. 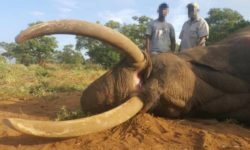 Kenya’s Maasai Mara is now enjoying the later stages of its ‘secret season’, when tourists are few and resident predators get to ambush the large numbers of prey species that do not follow the herds. The young from resident antelope species are easy pickings for the big cats made famous by BBC’s Big Cat Diaries. For many Kenyan locals, this is the best time to be in the Maasai Mara. Islands such as Zanzibar and Seychelles are enjoying their annual long rains, and the beginning of the monsoon season, and so for those that prefer cloudless skies we suggest that you avoid the islands during April. April sees heavy rains in the areas for mountain and lowland gorilla, chimp and golden monkey trekking and so we suggest delaying your primate experience until after the big wet. 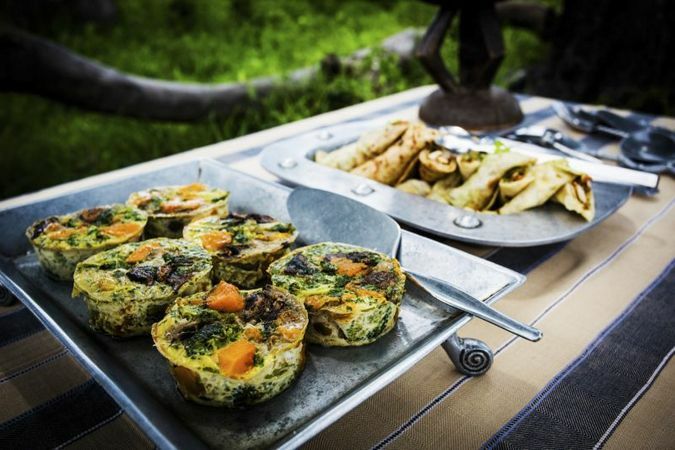 There is nothing like safari food! ‹ The best seat in the house!